1. Begin by preheating your oven to 375’. 2. Mix together the ground chicken in a medium sized bowl. In a smaller bowl, mix together curry powder, basil, ginger, garlic powder, and almond flour. Add to the ground meat and incorporate well. Finally, add the egg. 3. 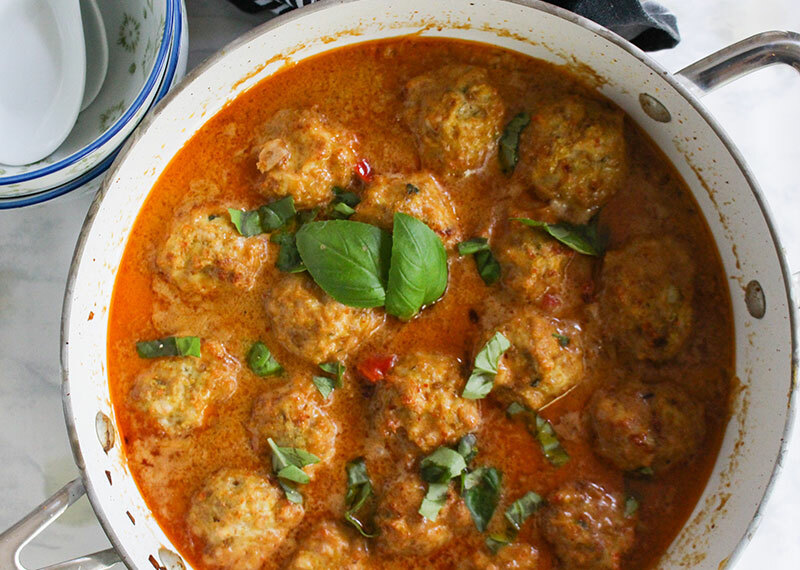 Form the meatballs into 1 -1.5 inch diameter balls, and place on a large baking sheet. Bake for 20 minutes. 4. While meatballs are cooking, make the sauce. Heat a large skillet to medium high heat, add coconut oil. Add the chopped veggies: onion, bell pepper, garlic, and ginger. Cook for 5-7 minutes until onion is translucent. 5. 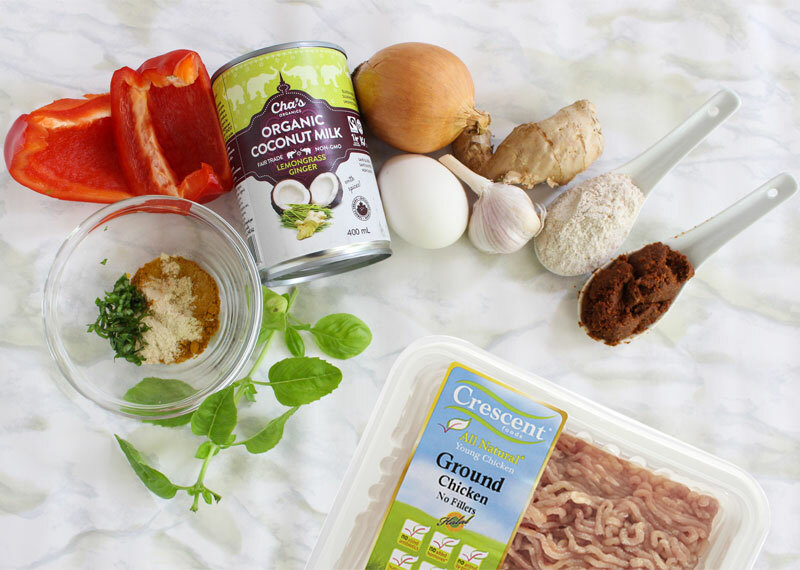 Add curry paste, than all of the coconut milk. Reduce heat to medium and simmer for 10 minutes until the curry paste is completely mixed into the sauce. Add salt, and more to taste if needed. 6. Add meatballs to the sauce, and cook for another 5 minutes. Finish off with fresh basil. 7. Serve hot over Spaghetti squash, rice noodles, zoodles, brown rice or cauliflower rice.